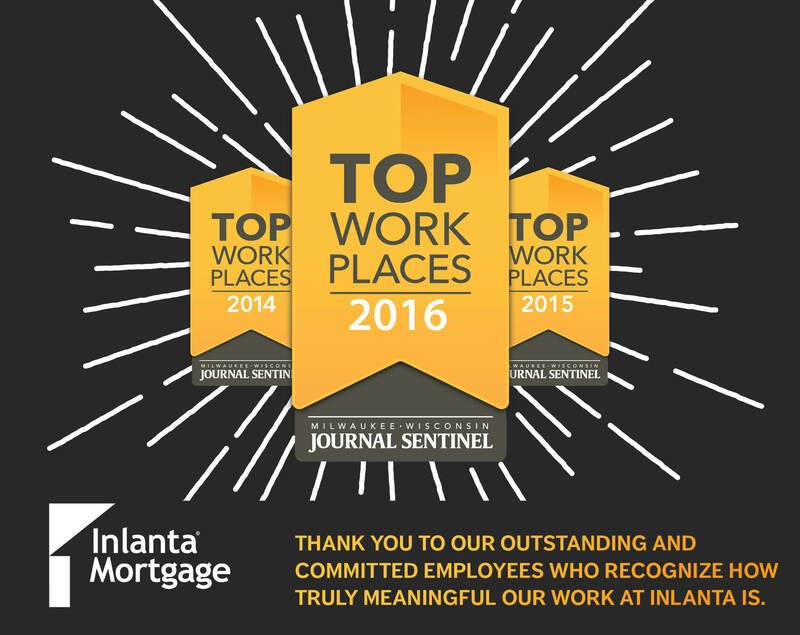 We are pleased to announce that Inlanta Mortgage has again been named a Top Workplace by the Milwaukee Journal Sentinel. 2016 marks the third consecutive year Inlanta has won the Top Workplace award. 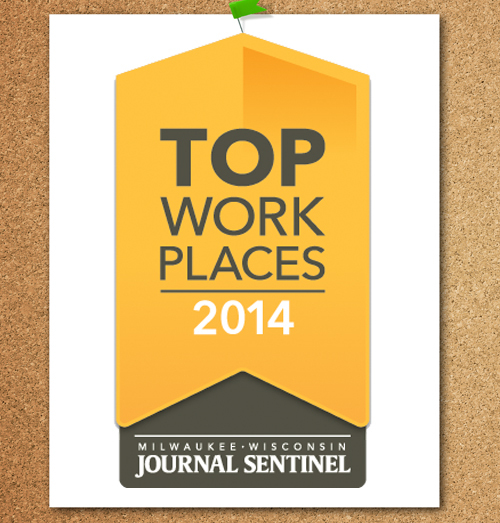 Inlanta Mortgage, Wisconsin’s largest independent mortgage lender, is pleased to announce it has been named a Top Workplace in 2014 by the Milwaukee Journal Sentinel. Top Workplace honors are awarded to companies whose employees have rated their companies highly in categories such as leadership, direction, ethics, culture, training and benefits. Inlanta Mortgage employees in Southern Wisconsin received a survey through the Milwaukee Journal Sentinel’s third party provider Workplace Dynamics. Award winners do not know whether their employees have rated them favorably until the Workplace Dynamics collects and reviews all results. In addition to being named one of the Top Workplaces by the Milwaukee Journal Sentinel, Inlanta has also been recently recognized as one of the “50 Best Mortgage Companies to Work For” by Mortgage Executive Magazine. Inlanta is also on Mortgage Executive Magazine’s “Top 100 Mortgage Banking Companies in 2013.” Last but not least, Inlanta has also been named to the highly respected Scotsman Guide’s Top Mortgage Lender list for 2013. Inlanta Mortgage is a multi-state mortgage banker based out of Brookfield, Wisconsin NMLS #1016. Inlanta Mortgage was also named a Top Mortgage Lender in 2012 and 2013 by Scotsman Guide, a Top Workplace in 2012, has been listed on Mortgage Technology’s Top 25 Tech Savvy Lenders list in 2010, 2011, 2012, and 2013. Inlanta has also been named to Mortgage Executive Magazine’s “Top 100 Mortgage Companies in America” in 2011, 2012 and 2013 and most recently “50 Best Companies to Work For“. Inlanta Mortgage, Wisconsin’s largest independent mortgage lender, has once again been named to the Scotsman Guide’s Top Mortgage Lenders list. The Scotsman Guide’s Top Mortgage Lender list is one of the mortgage industry’s most respected ranking reports. Similar to the Scotsman Guide Top Originators award bestowed upon individual originators, Top Mortgage Lender volume must be verified by a CPA or a company’s chief financial officer. Only verified loan volume from one-to-four unit residential properties within the U.S. was included. “2013 was a transitional year for mortgage professionals, and a year that required all of us to dramatically change our thinking about the business,” said Inlanta Mortgage President, Nicholas DelTorto. “The robust refinance business enjoyed in the 1st quarter started to decline in the 2nd and 3rd quarters. This caused problems for many companies as they failed recognize the importance of relationships or the referral source of their business until it was almost too late. In addition to being one of the Scotsman Guide’s Top Mortgage Lenders in both 2013 and 2012, Inlanta Mortgage was recently recognized as one of the “Top 100 Mortgage Banking Companies in 2013” and “50 Best Companies to Work For” by Mortgage Executive Magazine. Inlanta Mortgage professionals are attending the Mastermind Summit in Las Vegas this week to be recognized for these achievements and to attend an executive speaker panel that includes Nicholas DelTorto and a number of other new mortgage industry executives. Headquartered in Brookfield, Wis., Inlanta Mortgage was established in 1993. The company has grown to 31 branches in 16 states and over 200 employees. Inlanta Mortgage offers Fannie Mae/Freddie Mac agency products, as well as a full suite of jumbo and portfolio programs. The company is an agency approved lender for Freddie Mac and Fannie Mae, FHA/VA, FHA 203K and USDA. Inlanta Mortgage also offers numerous state bond agency programs. Inlanta Mortgage was named a Top Workplace in 2012, has been listed on Mortgage Technology’s Top 25 Tech Savvy Lenders List every year since 2010, Milwaukee Business Journal’s “Top 25 Largest Milwaukee-Area Mortgage Banking Companies,” and Mortgage Executive Magazine’s “Top 100 Mortgage Companies in America” in 2011, 2012 and 2013. 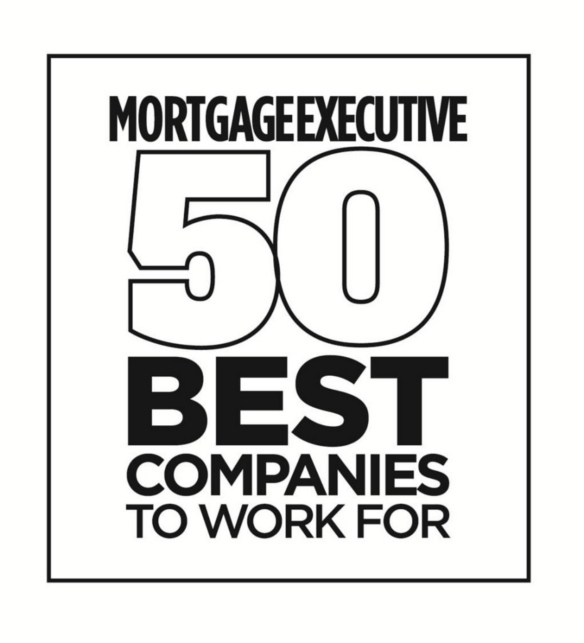 Inlanta Mortgage is one of the 50 Best Companies to Work For according to Mortgage Executive Magazine. To pick the “50 Best Companies to Work For”, Mortgage Executive Magazine conducted an extensive survey of loan officers. More than 160 mortgage companies and banks participated in the survey and more than 8000 loan officers were surveyed. The survey asked loan officers to rate their mortgage company on several key areas including company culture, loan processing, underwriting, compensation, management, marketing and technology. In order for a company to make the list, a minimum of 30 loan officers had to rate the company on the survey. The majority of Inlanta’s loan officers completed the survey helping Inlanta to garner an average score of 4.8677 out of 5. Inlanta Mortgage is also pleased to be recognized as one of the Top 100 Mortgage Companies by Mortgage Executive Magazine. Mortgage Executive Magazine ranks mortgage companies in America based on their yearly mortgage loan volume. The magazine seeks to celebrate and recognize the dedication and hard work that mortgage originators, managers and executives put into building their business and serving their clients. Inlanta’s mission is to be the home financing partner that you trust to serve your family, friends and community. Through their family of dedicated mortgage professionals, Inlanta’s commitment is to deliver an exceptional experience. Inlanta’s unwavering dedication to integrity, honesty and ethics is the foundation of all of their relationships. Headquartered in Brookfield, Wis., Inlanta Mortgage was established in 1993. The company has more 30 branches in 16 states and over 200 employees. The company is agency approved for Freddie Mac, Fannie Mae, FHA/VA, FHA 203K and USDA. Inlanta also offers numerous state bond agency programs as well as a full suite of jumbo and portfolio programs. Inlanta Mortgage was named a Top Workplace in 2012 by the Milwaukee Journal Sentinel, has been listed on Mortgage Technology’s Top 25 Tech Savvy Lenders List every year since 2010,Mortgage Executive Magazine’s Top 100 Mortgage Companies in America in 2011, 2012 and 2013, and the Scotsman Guide’s 2012 Top Mortgage Lenders List. Loan officers and branch managers interested in learning more about the Inlanta Mortgage platform are encouraged to take a look at the opportunities that a branch partnership with Inlanta Mortgage could provide. For more information, email partner@inlanta.com or call 262-439-4260. Inlanta Mortgage has once again been named to Mortgage Executive Magazine’s Top 100 Mortgage Companies in America. 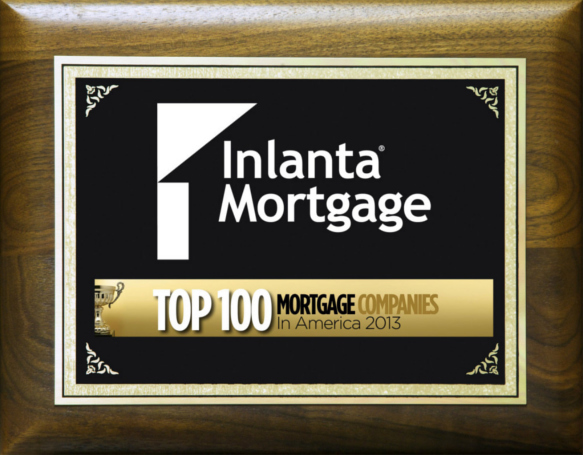 Inlanta was also on the Top 100 Mortgage Companies list in 2012 and 2011. Mortgage Executive Magazine ranks mortgage companies in America based on their yearly mortgage loan volume. The magazine seeks to celebrate and recognize the dedication and hard work that mortgage originators, managers and executives put into building their business and serving their clients. 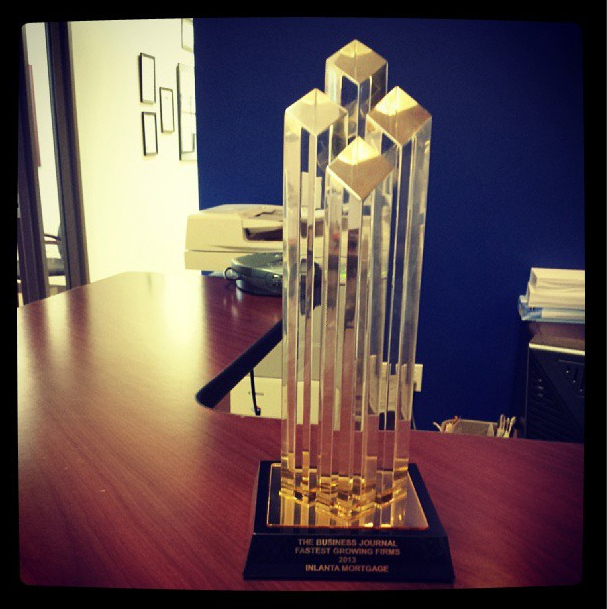 Inlanta Mortgage proudly accepts the honor and recognition as one of the Top Mortgage Companies in America. Mortgage Executive Magazine also recognizes the Top 1% of Mortgage Originators in America. Inlanta Mortgage is pleased to announce that originators Jim Snyder of Pewaukee, Wisconsin and Cindy Laffey of Overland Park, Kansas have been recognized among the nation’s Top 1% Mortgage Originators in America. In addition to the Top 100 Mortgage Companies rankings, Mortgage Executive Magazine sponsors the Mortgage Mastermind Summit in Las Vegas each year. At this year’s conference, scheduled June 5, 2014 at the Palms Hotel in Las Vegas, Inlanta Mortgage President Nicholas DelTorto will be recognized as one of the Top 100 Most Influential Mortgage Executives in America. DelTorto will also present with a number of other industry leaders on an Executive Mortgage Panel at the conference. Inlanta Mortgage was recognized as one of the Fastest Growing Milwaukee-Area Firms today at an awards ceremony at the Pfister Hotel in downtown Milwaukee. Inlanta Mortgage was among 30 other southeastern Wisconsin firms that were honored at an awards luncheon at the Pfister Hotel on August 16th. Winners were also recognized for their growth over the past three years in a special section of the Milwaukee Business Journal distributed on August 16th. Inlanta is still looking to fill many new positions at both the corporate and branch level. Open positions at the corporate office include experienced processors and underwriters. The Brookfield North branch is currently looking for a new loan officer and loan officer assistant. A complete list of open positions and their descriptions can be found online at www.inlanta.com/job-openings. Inlanta Mortgage is proud to be named a Scotsman Guide 2012 Top Mortgage Lender. Inlanta was ranked #57 in Top Overall Volume. In addition, Laura Leonhard from the Inlanta Mortgage Marshfield, Wisconsin office was recognized as the #1 USDA Lender in the country. Inlanta Mortgage was ranked among entries from hundreds of mortgage companies across the country. To be eligible for consideration in Scotsman Guide’s Top Mortgage Lenders rankings, all loan volume had to be from mortgages on one-to-four-unit residential properties within the United States. No commercial or international loans were included. After receiving submissions, Scotsman Guide required written verification of top entrants’ volume from a certified public accountant, the chief financial officer at the company or a similar source. 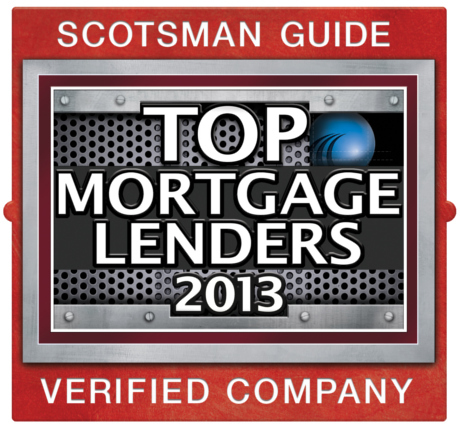 Scotsman Guide released its first annual Top Mortgage Lenders rankings on June 1. The list, which ranks the nation’s top mortgage-lending companies, appears in Scotsman Guide’s June 2013 residential edition, and searchable rankings are available online at scotsmanguide.com/TopLenders. In addition to the Scotsman Guide ranking, in 2012 Inlanta was also named a Top 100 Mortgage Company in America by Mortgage Executive Magazine and one of the Largest 25 Mortgage Milwaukee-Area Mortgage Banking Companies. Inlanta Mortgage received two awards from the United States Department of Agriculture (USDA) Rural Development Wisconsin State Director, Stan Gruszynski. Inlanta Mortgage’s corporate office is a recipient of the Million Dollar Lender Silver Award and its Antigo, Wis branch office (doing business as First Choice Mortgage) is awarded the Million Dollar Lender Gold Award. The awards recognize lenders who have made a significant contribution in assisting Wisconsin rural residents achieve the dream of homeownership, in partnership with USDA Rural Development and the Guaranteed Rural Housing (GRH) program. Awardees have utilized in excess of $2 Million (for the Gold) and $1 Million (for the Silver) of GRH program funds in fiscal year 2009 in earning this recognition. Representatives from Rural Development presented the award to Mike Fittante and Jim Fittante, Managers of the Antigo, Wisconsin branch office and Joe Ramis, Branch Recruitment Director, Nicholas DelTorto, Executive VP, and Jean Badciong, COO from the Inlanta Mortgage corporate office at a small ceremony on September 1, 2010.